Crystalline silica is a common mineral that you can find in earth’s naturally occurring minerals. Common items that contain silica include: concrete, industrial sand, stone, and mortar. Silica is used to create several other products we use each day. Glass, pottery, ceramics, bricks, concrete, and artificial stone all use crystalline silica in their manufacturing process. When items are cut, crushed, or ground that contain silica, Respirable crystalline silica is created. These particles are at least 100 times smaller than sand you may find in your child’s sandbox. When these small particles are inhaled, the people who inhale them are at an increased risk of developing several debilitating diseases. COPD, Lung Cancer, Kidney Disease, and Silicosis can all be caused by inhaling silica dust. The American Cancer Society recognizes that silica is a human carcinogen. Over 10 industries are linked to having higher rates of lung cancer. So what does this all mean for you? The new rule was issued because the old rule was outdated. The new permissible exposure limit is roughly 20 percent of the previous permissible exposure limit. At 50 micro grams per cubic meter. The new rule requires the use of engineering controls when possible. If adequate engineering controls aren’t possible, the appropriate respiratory protection should be selected. Contractors are required to limit access to high exposure areas and to have a written control plan. Any worker who has exposure over the permissible exposure limit for more than 30 days, has to be offered a medical exam. 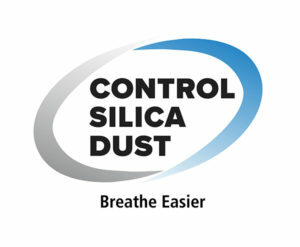 You are required to train your workers on the risks of silica and how to limit exposure to it.